Elder Ryan Bell Texas Houston Mission: The Stranger From the South speaketh; hearken! Hello Again! The Stranger From the South speaketh; hearken! It pleaseth me to report that the baptism of Wayne Bennefeld this week was a marvelous event! As I told you last Monday, Wayne went to the hospital for diverticulitis last Saturday. We visited him often this week and kept asking to see if he would like to move his baptism back. (It was scheduled for Saturday, November 3rd) That man has faith to put is all to shame! He said that he wanted his baptism to be on Saturday and he would do it whether or not he was still in the hospital. He said he would say he was "Going for a walk" for an hour or two, go and get baptized, and then come back before they knew what happened. Fortunately, he did not need surgery and was released from the hospital on Thursday. His baptism was awesome! Very powerful! I will get a copy of his testimony and send it, he says that he KNOWS he is in Texas at this time just for this. He was originally a very successful chef and owned a couple Italian Restaurants in Arizona. When he divorced his wife she took everything and he was left in dust and ashes. But he says he knows this was for a reason. He ended up in Texas and was not sure why. Now, suddenly, he had an opportunity for work open up again in Arizona and will be heading back in the next couple of months to Gilbert, Arizona. His story is so touching! Lately, I have been awakened to a desire to put all of my energy into studying the Atonement of Jesus Christ. Why study the Atonement? I will share with you something I have learned. To be honest, the Gospel is exciting! There are many fascinating and deep subjects into which one might delve for further understanding and have a very enjoyable time doing it. There's the Spirit World, the Veil, Exaltation, Blessings and Cursings, Birthrights, the Millenium, Signs, and of course Kolob. These are all great things and very fun to study! 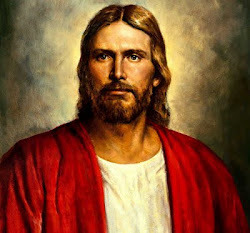 But here is something I have come to realize lately, none of those things would matter in the slightest to us if it were not for the Atonement of Jesus Christ. That's kind of an interesting thought, isn't it? Seems a little harsh; but it's true. If the Son of God had not submitted to the will of the Father and voluntarily offered Himself as our Savior, come to the world in a tabernacle of clay, and then endured the sufferings of Gethsemane and Calvary, to rise from the tomb on the third day; it would not matter if there were a Spirit World to return to, for we would never make it there. The Millenium, the Veil, and all these things would make absolutely no difference to us. These tenets of the Gospel are like branches on a tree, they have no life except as given through the roots and trunk, or in other words, the power of the Atonement, which makes faith, repentance, baptism, the Gift of the Holy Ghost, Spritual Gifts, Angelic Visitations, etc even mean something to us. As stated by Jacob in Jacob 4:12 And now, beloved, marvel not that I tell you these things; for why not aspeak of the atonement of Christ, and attain to a perfect knowledge of him, as to attain to the knowledge of a resurrection and the world to come? We can comprehend all things beginning from the root (Atonement) outwards. Then faith, repentance, baptism, the Sacrament, the Priesthood, Celestial Marriage, the Endowment, and every other part of the Gospel make sense; they have power and meaning when studied this way than as a lone, dead branch by itself. My time is up, I go now back to the place of my dwelling. Farewell to all! I love each of you dearly and thank you for your loving kindness and caring!